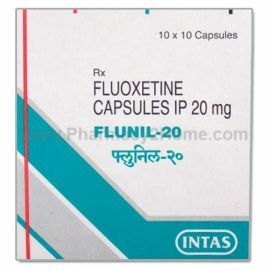 Fluoxetine belongs to the group of SSRIs (selective serotonin reuptake inhibitors). Serotonin is a neurotransmitter found in our body. It controls the feeling of happiness and mood depending on its amount in the blood. Flonil 40 inhibits serotonin reuptake by the blood. That improves the mood, reduces stress and enhances the overall feeling of wellbeing. Store the drug at temperatures between 15C-30C, away from moisture and direct sunlight. Keep away from kids and do not share with anyone. Take it orally as prescribed by the doctor with or without food. Dosage depends on the condition being treated. The initial starting dose is 20mg per day. If it is time for the next dose then skip the missed dose and continue from the next dose. If not then take it as soon as you remember. Flunil 40 mg reacts with certain medications like MAOI inhibitors, blood thinners and digitalis. Inform your doctor of the concurrent medications you are taking. Contraindicated in renal and liver impairments, pregnancy and lactation. When Flunil 40 Mg should not be used? Allergy, hypersensitivity, renal and liver impairment, pregnancy and lactation. 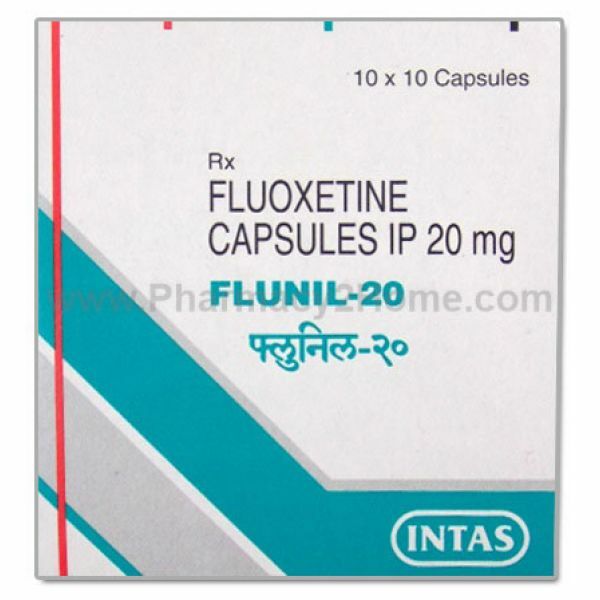 How long should you take Flunil 40 Mg?